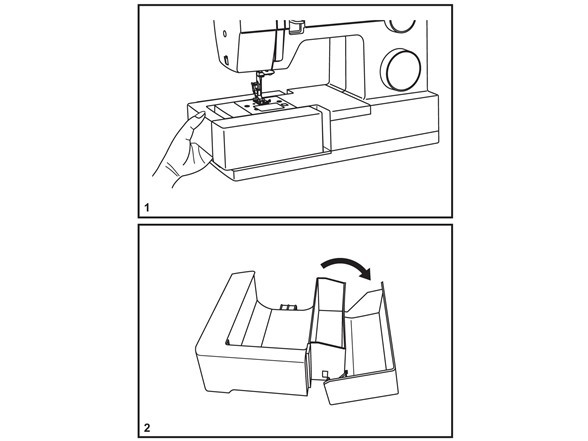 The Heavy Duty 4423 sewing machine is designed with your heavy duty projects in mind, from denim to canvas. Thanks to the machine's powerful motor, you have extra high sewing speed to save you time. With adjustable presser foot pressure, you can also sew very lightweight sheers, and the stainless steel bedplate allows fabrics to glide over the machine with ease. Create original costumes, sew personalized fashions or transform your home with new decorator pillows and curtains. Among the 23 stitches is a one-step buttonhole, giving you consistent results every time for projects you'll be proud to say you made yourself. The Top Drop-in Bobbin is not only easy to thread, it's easy to see so you won't run out of bobbin thread in the middle of a seam. The Singer model 4423 weighs- 17pounds and the dimensions are: 15.5"(L) x 6.5"(W) x 12"(H). 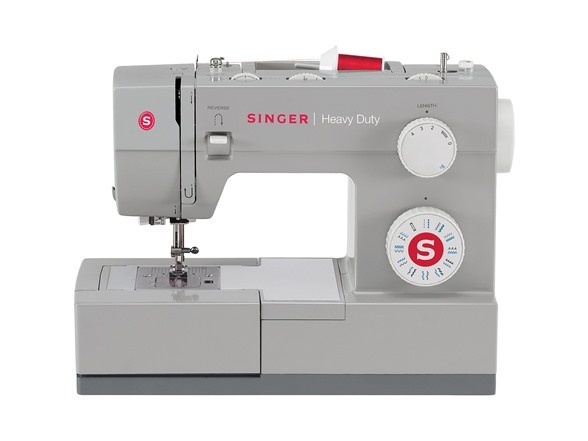 Convenient Features: An automatic needle threader, top drop-in bobbin, fully automatic 1-step buttonhole and drop feed for free motion sewing adds a new dimension of ease to heavy duty sewing. All-purpose foot - for the majority of your sewing projects. Buttonhole foot - for adding buttonholes, slots for ribbon and more. Zipper foot - for adding zippers, piping, cording and more. Button Sewing Foot - for adding buttons.